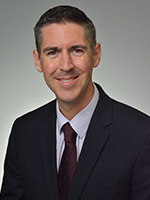 Prior to joining Georgia Cancer Specialists, Dr. Schueneman was actively involved in research at MD Anderson Cancer Center in Houston, Texas. He has special interests in cancer immunotherapy, general hematology and oncology, and early phase clinical research trials. He is a member of the American Society of Clinical Oncology, the American Society of Hematology, and the American Association of Cancer Research. Dr. Schueneman obtained his undergraduate degree from Georgia Institute of Technology in Chemical Engineering. He is a retired Lieutenant Commander from the medical corps of the U.S. Navy.